Yoooooo-hooooooo! Peek-a-boo!!!! I am opening my Attic window again, breathing in the damp, misty October air and waving gently to you all. Helloooooooo, lovely people, hello. I am just about back to normal after the whirlwind that was Yarndale, still incredibly shattered, but normal-ish. What a weekend. Wowsers. It took my breath away, it was an unbelievable experience on so many levels. I am still trying to gather my thoughts and words and feelings (it was soooo emotional!) but I am eager to tell you all about it and show you some pictures when the time is right. Next week I expect. This week has been a week of slow recovery. A week of gentle pottering and pootling, and appreciating the sudden change in season. Summer has all of a sudden gone. Just like that, we are all Autumnal here in Atticland. I took this picture on the walk home from Little B's nursery school today, aren't these leaves glorious? This week I have remembered what it is like to walk s-l-o-w-l-y from A to B. I realise that I have spent so many weeks lately rushing around at high speed, rushing everywhere in order to get the most things accomplished in my very busy days, that it suddenly felt ridiculously luxurious to slow down. I have pottered and wandered and ambled and shuffled and it has felt sooooo good. Today, for the first time in aaages, Little B and I walked the Long Way home from town along the canal tow path. It was gorgeously autumnal and peaceful. Incidentally, I am A-OK about it being Autumn now, as we are in October. October is Autumn in my book, bye bye Summer. I have packed away my flip flops, and today I wore socks for the first time in many weeks. It felt cosy and right. We have had a week of grey mists and low light levels, and yesterday the rain came. My roof is leaking again and this afternoon a huge swag of damp plastery wall paper disengaged itself from the bay window ceiling. Oh dear. Need to find a nice roofing man to come and see to it, as the sound of water drip-dripping into the washing up bowl is hugely depressing. Lots to attend to here at number 24, it looks like a small (but mean) tornado has whipped though the place leaving a trail of dishevelled chaos in it's wake. Time for new routines and some seriously dedicated Home Blessing. But not this week. This week I am dedicating to Recovery. Feet up on the sofa. It is surprisingly not coming easy, and even though I am incredibly tired I am having to more or less force myself to unwind. Sit. Drink. Eat. Its OK. Nothing urgent to do. Embrace it. I rang my Mum yesterday and tried to describe Yarndale to her. My words poured out in an hour of gabbled, high pitched, over the top ramble. Poor Mum. She listened to me spill it all out, get it all out of my system, then asked if I could perhaps send her some photos. So I spent time yesterday printing some pages to send to her....gosh it all looks so great in images! I would love to share my Yarndale story with you. Soon. I'm nearly ready. Waiting with glorious trepidation to hear/see/devour your Yarndale experience! More importantly though loving that you are slowing down and resting and putting your feet up. A frazzled, fizzed out and frustrated mummy is no good to anyone hey? We are (supposed to be) welcoming Sunshine and Spring here in Perth but methinks a little UK Grey has found it's way to my corner of the world... not that I mind - cosy is my middle name ..
Good to see you are giving yourself time to recover and enjoy life at a slower pace. Good for the soul! It was an absolute pleasure to come to Yarndale ( hope it's ok to mention it?!) to see your beautiful studio and to meet you and Tracy. Wow it was mad and amazing just coming to Yarndale let along organising it! You must be exhausted. I love Skipton and the weather was like summer for a lot of our stay which was a bonus. It's a lovely place and great to read your blog and see your pics and think we went there and to have more of an idea where things are. Really hope we come back to visit again soon. Anyway thanks for all your hard work, enjoy putting your feet up and ease yourself back into things. There's no rush!! Oh Gosh Lucy! Those red leaves are so gorgeous! I love everything about Fall. Here in Southern California we are just getting hints of cooler weather and turning leaves. I can't wait for the coolness of Autumn. I will wait patiently for your tale of Yarndale! No worries about that. I know I will be able to see and feel it through your pictures and description. Now sit back with your feet up! Beautiful Fall pictures, especially the canal. It looks so picturesque to have a canal in your town! I was admiring the beautiful red maple tree leaves here today and gave one to my daughter to hold on our walk (into the mouth it quickly went). And I was trying to describe the color to her, "not tomato red, not maroon", etc. So hopefully by 3 she also will know more than than red, yellow, and blue! I'm happy to read that Yarndale was a huge success! I read BunnyMummy's post on her visit and can't wait to read yours and see all your pics. ¡Se ve sensacional! Estoy deseando que nos lo cuentes todo muy bien con muchas fotos enseguida. ¡Feliz recuperación hogareña! See that there towpath? I've walked along there!!! So glad you've had some gentle pottering time this week - you must be totally spent after Yarndale. Was just super to meet you. Enjoy! Can't wait to read all about it! Enjoy a rest.You need to after that superhuman event called Yarndale.Daughter and I hade the best day ever.Thank you.Can't wait for next year.Thrilled Igot to have my photo taken with you. Enjoy your winding down time! It can definitely be hard after so much business. Can't wait to hear about Yarndale. I'm really not surprised you're wiped out, I was after a full on weekend in Yorksire with another event and Yarndale on Sunday, amd I was not organising just socialising! I know what you mean about coming down and finding it hard to unwind, I think busyness and meeting deadlines becomes part of the norn, then suddenly there's a full-stop. The pecan pastry and coffee look like a good antidote to autumn weather, drips and house SOS situations. Lucy you show us all the most gorgeous pictures. I am putting your neck of the woods, sort of speak onto my Bucket List of things and places to see. I could not imagine having a beautiful canal to walk by each and every day like the one in your pictures. Now, just to note, that I am crocheting up a storm here in Canada and what I mean by that is I have rediscovered my love of crocheting thru your projects.....thank you for sharing. What a fantastic day i had at yarndale i came with 2 friends avril and ruth, we stayed in skipton for 4 days and travelled there from Twickenham in middlesex, ruth and i went to the knit and natter in the wool shop on the wed night and met some lovely knitters. 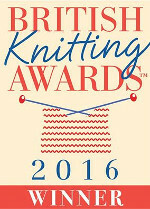 A VERY BIG WELL DONE AND THANK YOU for that saturday, we now have lots of knitting to be done. We hope you hold it again another year. Hi Lucy you deserve a break - enjoy the down time with your lovely family - I was so so disappointed as I had made plans to come and see you last week but illness in the family meant I had to stay and look after my loved one. I knew I had to stay but all weekend I was down in the dumps wanting to come to Yarndale - have promised myself that I will definitely be there next year and hopefully have the chance to say hello to you personally. Love the colours in your photographs Lucy they are just stunning. Who were the other organisers of Yarndale? We never hear anything about or from them. I would love to know. The credit certainly seems to be only aimed in one direction, yet I think I heard 7 people were involved from a brief mention on the yarndale blog. No one would know otherwise.